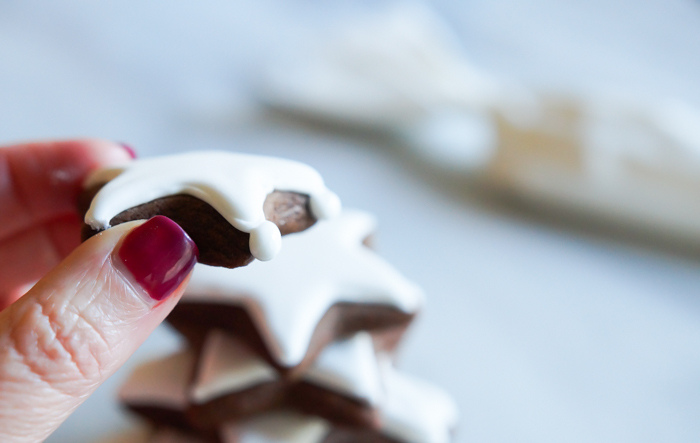 Want a Christmas sweet idea that is super cute, super delicious, and super easy? You got it! 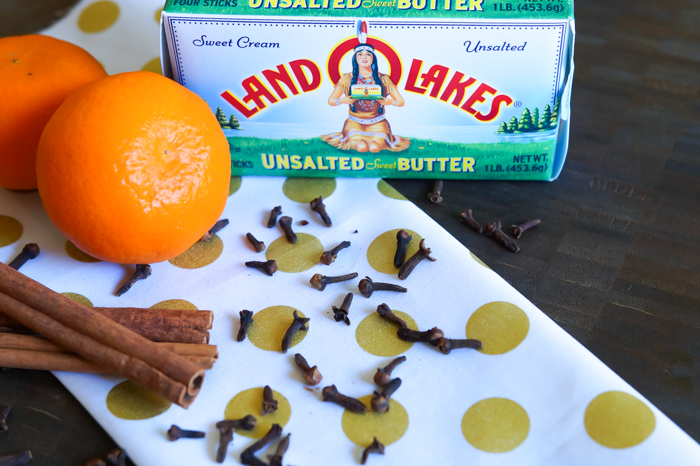 *this post is sponsored by Land O'Lakes. I'm a huge fan of gingerbread cookies. I think we should eat them year-round. Thick, chewy, spicy, buttery gingerbread cookies...there's almost nothing better. Unless, of course, you jazz up your gingerbread cookies with a little clementine zest and juice. 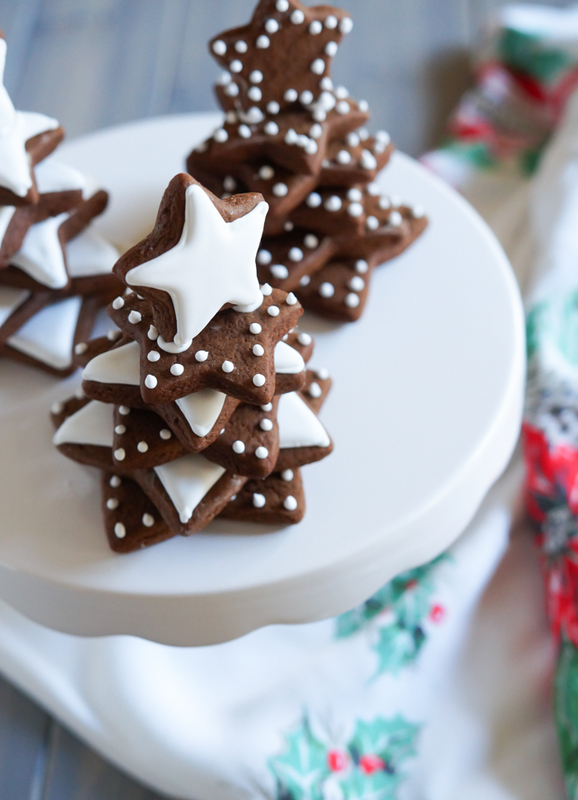 Just that little pop of citrus adds a brightness to spicy gingerbread, making the cookies even more irresistible. I was totally inspired by clove-studded oranges. I need to make a few bowls of those to set around the house this year. 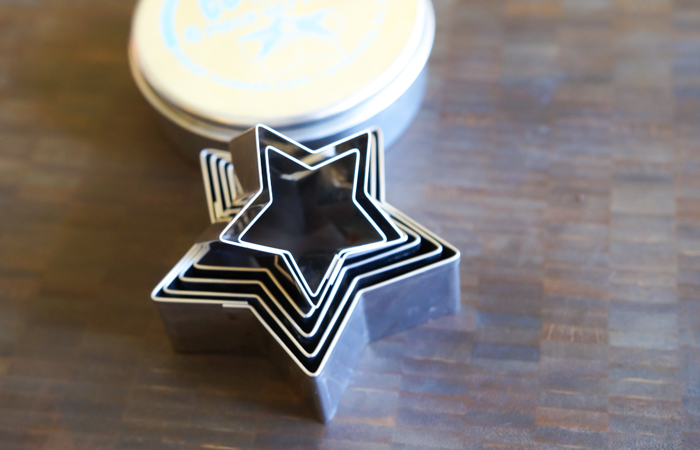 To make the trees, you'll need a set of graduated star cookie cutters. 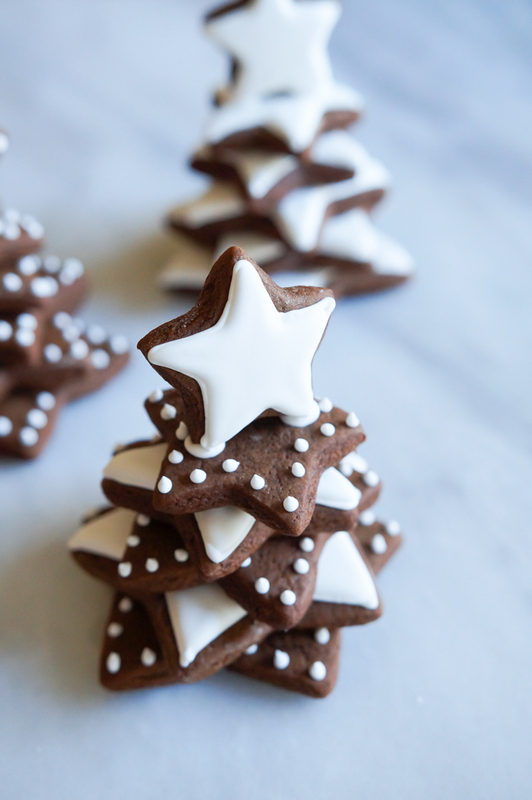 You'll also use royal icing to decorate and stack the cookies. Royal icing dries hard and acts as a glue of sorts...it's the stuff that holds gingerbread houses together. This is the recipe I use. For these, I omitted the extract. 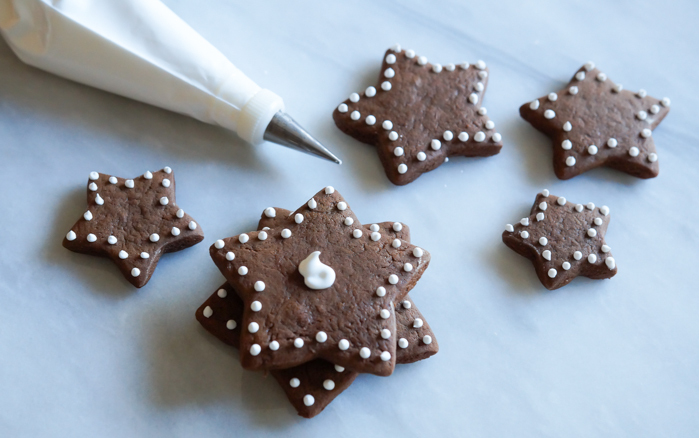 Make the cookies, let them cool, then decorate with royal icing. Cover the entire cookie, or add dots along the edges, or tint the icing to match any theme. Simple is perfect here as most of the cookie will be covered up, so no need to get fancy. Once the icing is dry, it's time to stack. ...when you get to the smallest one, add a bit of royal icing to two corners of the cookie, and press onto the stack, standing the cookie up. You'll want to hold the cookie in place for a minute or so, then let the stack set up without moving it for about 30 minutes. The gingerbread trees are so cute on a holiday dessert table or displayed in groups on cake stands. Whisk the flour, salt, baking soda, and spice together. Set aside. With an electric mixer, cream the butter and sugar together for several minutes until creamy. Beat in the molasses, egg, zest, and juice, beating until well combined. Scrape down sides and bottom of bowl as necessary. On low speed, add the flour mixture in three additions. Once the flour is incorporated, cover with plastic wrap and refrigerate 45 minutes. Roll the chilled dough out to 1/8" thickness. Place on the prepared pans. Freeze cut shapes for 5-10, if desired, to prevent spreading. Bake for 8-12 minutes, depending on the size of the cookie. Try to bake the similar sized cookies on the same sheet. 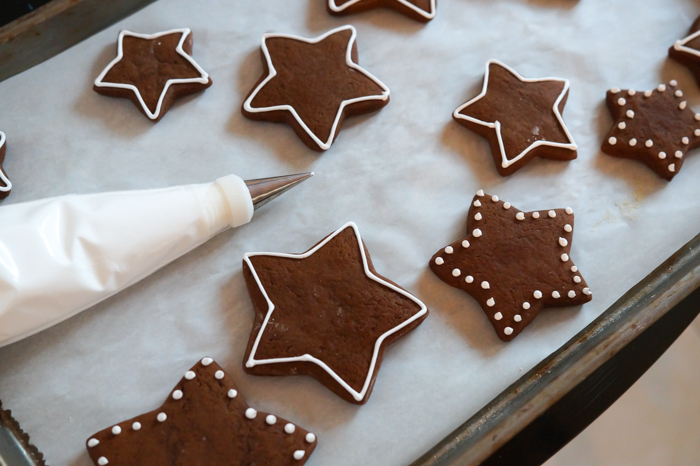 Use royal icing to decorate the cookies. The icing should dry uncovered for 6-8 hours or overnight. Once dry, use more royal icing to stack the cookies. For the smallest cookie, add a bit of royal icing to two corners of the cookie, and press onto the stack, standing the cookie up. You'll want to hold the cookie in place for a minute or so, then let the stack set up without moving it for about 30 minutes. 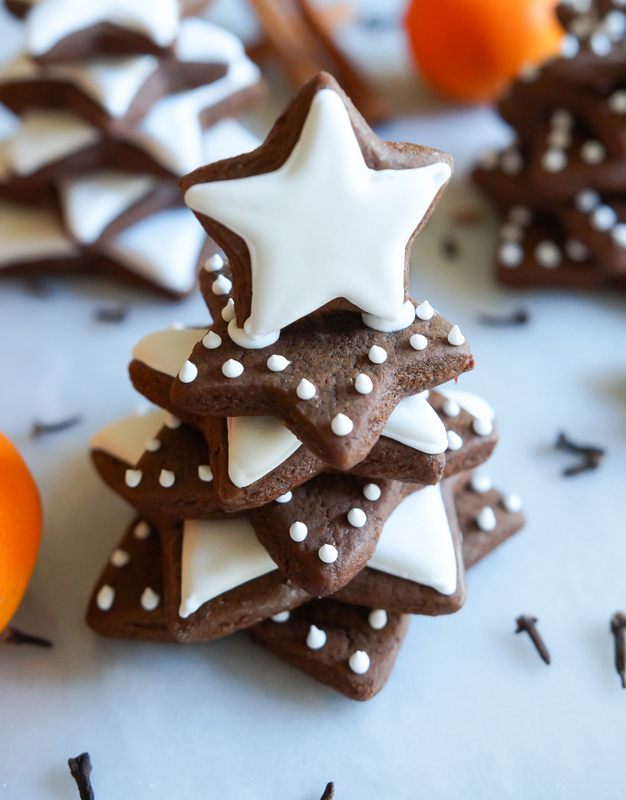 Clementine gingerbread cookie trees...make them, make them! Orange and gingerbread, two of my favorites. Would you say these are mildly spicy or a strong gingerbread flavor? I'm a fan of spicy and molasses-y and not too sweet. Well I happen to have these cutters:) Yay for me..adorb!